The Center has served 124 new and returning individuals in the 2017/18 academic year. Most are part-time students, and most are working full-time. Twenty-five of these students are from West Marin, an area that has historically been underserved, with little access to higher education. Many live on ranches and are isolated from social services. One gentleman told staff that he wants to learn to speak English better so he could talk to his boss more effectively and do a better job because if he loses his job, he loses his home as well. One mother told us she wanted to learn to read better so she could help her children with their schoolwork. Our enrollment target is to start fall 2018 semester with one hundred students. One student completed an Early Childhood Certificate, and another student graduated and transferred to Sonoma State University. We are increasing the number of workshops offered to students throughout the year. We have introduced individual interview sessions with all of our students with the intention of better assessing student needs as well as measuring the program's effectiveness. Our efforts are to support academic success and identify realist goals. We have found students appreciate having an opportunity to discuss the challenges of attending college. Our population is generally highly enthusiastic but lacking confidence in their ability. We are urging every student to see a college counselor and develop an Educational Plan. In the course of our first three years of operation, Literacyworks Center supported adults with low literacy skills get access to education that improves their quality of life and increases employment opportunities. Basic literacy and numeracy are critical for individuals to climb the social latter and achieve their personal goals as well as to contribute to society and their community. We see literacy as a matter of social justice. The Center served 105 new and returning individuals in the academic year 2016/17. Most are part-time students and most are working full-time. Twenty-five of these students are from West Marin, an area that has historically been underserved, with little access to higher education. Many live on ranches and are isolated from social services. One gentleman told staff that he wants to learn to speak English better so he can talk to his boss more effectively and do a better job on the ranch. One mother told us she wants to learn to read better so she can help her children with their schoolwork. In our second full year of operation Literacyworks Center continues to support adults with low literacy skills get access to education that improves their quality of life and employment opportunities. Basic literacy and numeracy are critical for individuals to climb the social latter and achieve their personal goals as well as to contribute to society and their local community. We see literacy as a matter of social justice. By providing financial, educational and counseling support to our highly motivated adult learners, they can prepare for the GED, or improve their English, writing, and math skills, or explore vocational programs. Through a series of small group workshops the staff of Literacyworks Center attempts to strengthen student confidence while exploring personal goals and challenges. It is our intent to have these cohort groups become mutually supportive of one another to further enrich their educational experience. The workshop topics cover time management, study skills, goal setting and how to register for classes. We are planning to add financial literacy, health literacy and a family parent reading program focused on the importance of parents reading to their young children. We see the Center as a family literacy program. Literacyworks was able to secure operations funding in 2015 through the generosity of Redwood Credit Union, the Federated Indians Of Graton Rancheria, and other private donors to open the Center in July 2015, just in time for the Santa Rosa Junior College Fall 2015 semester. The Center staff includes a director, Chris Schultz, and administrative assistant, Rita Sorpranith. Literacyworks Executive Director, Paul Heavenridge, will provide his college counseling and administrative expertise as in-kind. Literacyworks was able to secure a private family foundation grant for the Literacyworks Center’s Adult Literacy Award. Working with the Santa Rosa Junior College Foundation and the SRJC Scholarship office, this funding goes to providing scholarships to students and cannot be used for Center operations. Each student award is vetted by Literacyworks and will be offered each year up to seven years only as long as the Literacyworks Center remains open. In 2015, 163 SRJC Students received the Adult Literacy Award. Thirty-three students were enrolled in the Literacyworks Center Fall Semester program. Five of these students live in Marin County and 28 live in Sonoma County. Seven of these students were from the Federated Indians of Graton Rancheria who are completing their GED. The Graton Rancheria community is a federation of Coast Miwok and Southern Pomo groups recognized as a tribe by the US Congress whose members include the Miwok of West Marin County. One student was from ‘Gateway to College’, a collaborative program between Santa Rosa Junior College and Petaluma School District which promotes high school completion and college attendance. Twenty of the 33 students were staff and parents from North Bay Children’s Center. There are 164 parents from North Bay Children Center’s that are potential students in the program. Their children attend schools in Novato and Sonoma County. Literacyworks Center has reached its target enrollment number of 76 students for the Spring Semester and is now developing a waiting list for the fall of 2016. We started with 25 Center students Fall Semester 2015. Twenty-four reenrolled for classes and continued in Spring Semester 2016. Our one dropout got a job. We have enrolled an additional 52 students to the program who are taking classes Spring Semester 2016. We currently are working with and supporting 3 individuals from Center Point Inc. in San Rafael. They are enrolled at Santa Rosa JC. Two are first time college students and one has previous college but has struggled. These students have been identified and referred by the director of Center Point who believes they are ready to succeed in college. Literacyworks Centers director has made a number of presentations at Center Point. Literacyworks Center currently has 14 students from West Marin. All are taking ESL classes on the Petaluma campus of the JC. West Marin Community Services and the library in Point Reyes Station have been referred individuals to the Center. We conducted a second outreach in Tomales on April 29th to explain the program and cultivate interest for the Fall. The majority of those being served by the Center from West Marin have children at Tomales Elementary School and work on ranches in the area. North Bay Children Center (NBCC) continues to be a very successful collaborative partner with Literacyworks Center. We have enrolled 18 students for the spring semester from both the parents and the staff. The parents are taking ESL classes and the staff are taking Early Childhood Education classes. 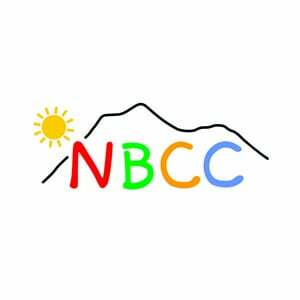 NBCC serves 600 families in Marin and Sonoma County and are opening two more childcare centers in Sonoma County. Literacyworks Center is working closely with the administration and staff of Santa Rosa JC in an effort to maximize access to student support services. Most of the Center’s students have now seen a SRJC college counselor and have taken placement test. Very few of our students have ever attended college and most have never been on a college campus. One of the Center staff’s initial roles was to walk the students through the application and enrollment process. We are now working on retention activities with each student. We have identified a number of ‘college success’ classes taught this summer that we will be recommending our student take. These are .5 unit class the help student understand the culture of college and what is expected. Center staff is exploring the possibility of requiring students to take one of these classes as a condition of receiving a Literacyworks Adult Literacy Award through the SRJC scholarship office. The Center’s executive director and director met with College of Marin’s Dean of Career Technical Education to initially explore possible collaboration between the college and Literacyworks Center. The initial conversation focused on basic skills and adult literacy in career programs that lead to apprenticeships and well paying jobs. The Center continues to support 6 students from Federated Indians of Graton Rancheria, most of who are enrolled in GED preparation classes at SRJC. They report that they are making progress on their goals. The Scholarship Office of Santa Rosa JC has provided invaluable support the Center’s work. This Spring Semester we have given out 76 awards. For Summer Semester 2016, we are encouraging our students to take a College Skills course. For Fall Semester 2016, we have a waiting list for enrollment and we are directing our existing students to early enroll. We are expecting to have 90-100 students on the program by Fall semester.